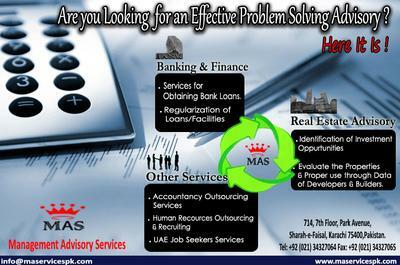 MAS support your business through advising you a full spectrum of expertise an individual approach for resolution of your funding/investment and liquidity issues. MAS offer professional and independent services to the real estate sector from identification of investment opportunities to assist in proper disposal of property holdings. MAS understands and evaluate the properties/assets combine with identify opportunities to maximize the assets value or salability in the market. MAS through its strong database and existing contacts of investors, developers, institutions and builders can assure for proper use of properties and give handsome return to the holder.